Watching funny cat videos at work may not be such a bad thing after all, as new research suggests that exposure to humorous stimuli may actually help people persevere in completing arduous tasks. In a study, psychological scientists David Cheng and Lu Wang of the University of New South Wales found that people who watched a funny video clip spent twice as long on a tedious task compared to people who watched neutral or positive (but not funny) videos. 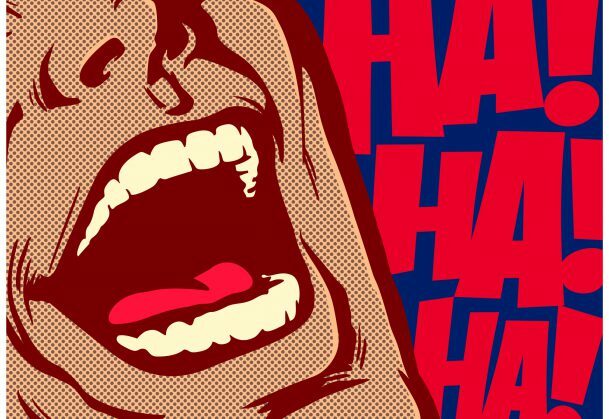 “There has been increasing recognition that humor may have a functional impact on important behaviors in the workplace and that exposure to humor may increase the effectiveness of employees,” Cheng and Wang write. Not only has prior research found that humor can facilitate recovery from stressful situations, but humor can also provide a kind of “momentary vacation.” In the business world, many successful organizations such as Zappos, Virgin, and Google, deliberately build play areas into their workspaces and organize fun events with the intent that the humor arising from these events will ameliorate the stressful nature of work, boost morale, and increase productivity. Indeed, in a 2007 article published in Current Directions in Psychological Science, Roy Baumeister (Florida State University) and colleagues point to humor as one factor that can moderate or counteract the effects of mental depletion. In line with this idea, Cheng and Wang hypothesized that humor may provide a respite from stressful situations. This “mental break” might not only prevent work-related depletion, but might also facilitate the replenishment of mental resources, ultimately allowing people to persist longer on difficult tasks. To test this theory, the researchers recruited 74 students to come into the lab, ostensibly for an experiment on perception. First, the students performed a mentally-depleting task in which they had to cross out every instance of the letter “e” contained in two pages of text. The students were then randomly assigned to watch a video clip eliciting either humor, contentment, or neutral emotions. For the humorous video, students watched a clip of the BBC comedy “Mr. Bean.” In the content condition, participants watched a scene with dolphins swimming in the ocean. The students in the neutral condition were treated to an 8-minute video about the management profession designed for students studying business. Immediately after watching the videos, participants reported their emotions using a standard 7-point scale of 16 discrete emotions (e.g., amusement, anger, disgust). Then the students completed a persistence task, in which they played what amounted to an unwinnable game. The students were asked to guess the potential performance of employees based on provided profiles. They were told that making 10 correct assessments in a row would lead to a win. However, the computer software was programmed such that it was impossible to achieve 10 consecutive correct answers. Participants were allowed to quit the task at any time. As predicted, students who watched the humorous clip of “Mr. Bean” spent significantly more time working on the task, and made twice as many predictions, than the other two groups. Humor’s positive effect on persistence was driven, at least in part, by the emotion of amusement. Therefore, people who reported high levels of amusement after watching the humorous video clip were more likely to show increased persistence.